Windsor Spitfires are Loving Infinit! The Windsor Spitfires are off to a great start this season, recording 8 wins and 5 losses in 13 games. They are currently ranked first in the OHL West Division and second in the OHL Western Conference behind the Erie Otters. In CHL rankings they have already cracked the Top 10 in week 4 and have received two honourable mentions in week’s 3 and 6. 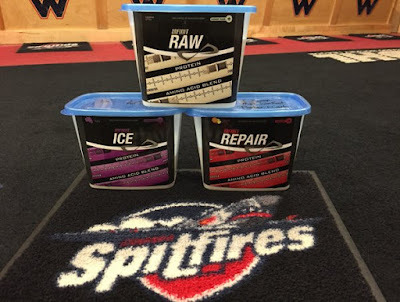 The Spitfires will enjoy Infinit’s Hockey Fuelling System, which consists of ICE, REPAIR and RAW; three products that will take care of our players during pregame and workouts, on-ice and immediately following games and practices. "We're very happy to partner with Infinit Nutrition," Spitfires Athletic Therapist Joey Garland said. "The quality of their products and reputation speak for themselves. But what we really like is the attention Darcy and his staff pay to customizing their products to the specific and changing needs of our players." "This is a whole new level that will undoubtedly benefit our on-ice performance. Infinit's program gives me a platform to get exactly what I need for the players to excel." This season, we connected with Joey again to get his feedback on the partnership and our products. According to Joey, the players have been using Ice, Repair and Raw more often this year and it’s showing. Infinit Ice, which is created specifically for hockey with the Hamilton Brothers, has made a difference in the team's electrolyte levels and overall performance. "Despite the Spit’s heavy schedule this season they have yet to have any cramping and dehydration issues" says Joey Garland - we love to hear that. Fuelling your body with the proper sport nutrition is key and we at Infinit understand that – why should a runner and hockey player use the same fuel? We are excited to be fuelling the Spit’s – there is a ton of hockey left to be played and we are looking forward to following the team on their quest for the Memorial Cup. Make sure to tune into the Spitfires twitter account every game day for the Official Infinit Canada Pre-Game. On November 16th the CHL Canada vs. Russia Series is coming to Windsor - puck drops at 7pm. The Spitfires will be represented on ice by #96 Christiano DiGiacinto and #21 Logan Brown and on the bench by Spit’s head coach Rocky Thompson and assistant coaches Trevor Letowski and Jerrod Smith. Look forward to seeing you there! What a Summer for Ben and Chaim! Travelling the world to play a sport you love - Sounds like a dream, doesn't it? If you've been following our blog or social media you know that Team Infinit Duo Ben Saxton and Chaim Schalk definitely lived the dream this summer. 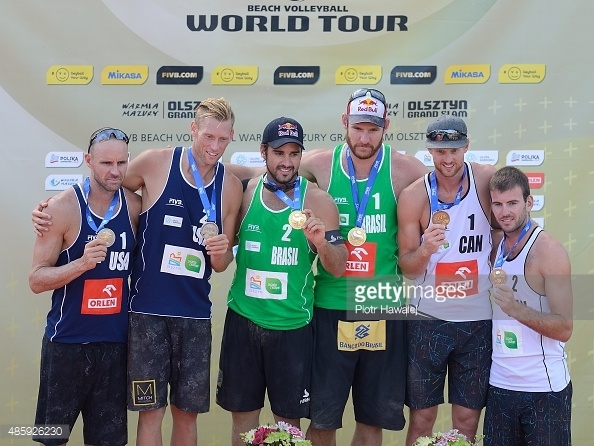 Travelling to 8 different countries, competing against the best beach volleyball teams in the world, their main goal for the season was to qualify for the World Tour Finals and each of their tournaments this summer would be important for them to achieve their goal. The guys started their season off ranked 19th at the Moscow Grand Slam. They finished the round robin play at the top of their pool, having defeated the Netherlands (14th), Poland (3rd) and Belarus (30th). The duo had a bye through the first round of elimination play, and faced a tough matchup against the 16th ranked German team. Unfortunately this match ended the weekend for the pair, however they finished the weekend in 9th place - an impressive start for Ben and Chaim. 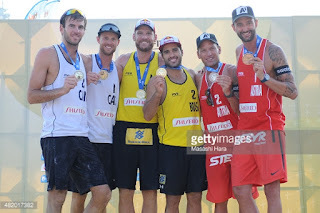 The following weekend they flew to Croatia to compete in the Porec Major. After their strong showing at the Grand Slam they were ranked 16th in the tournament and were be placed in a pool with Brazil (1st), Canada (17th) and Croatia (32nd). Amidst gruelling temperatures which reached the mid 30's, the pair handled their competition easily and finished a perfect 3-0 in pool play.We loved what Chaim had to say about Infinit: "It was hard to keep our energy at a consistent high level so we had to be smart during the matches. It was also crucial to have our fluid energizer with us for all matches” Their monumental moment was defeating the number 1 ranked Brazil squad in 2 sets, with scores of 21-16 and 34-32 respectively. 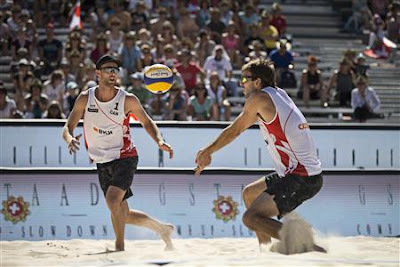 They made it through to the quarterfinals, where their success was cut short by the 6th ranked Netherlands squad - the Canadian duo finished 5th overall in the tournament. Next up they were off to Norway for the Stavanger Major from June 10-14. After the past two weekends in which they saw themselves climbing up the rankings - they were now sitting at 11th in the World entering the Major. Finishing the pool play in second, they came up against a strong German squad who after an intense 3 sets ultimately ended Team Saxton Schalk's weekend. A few days later they were back in North America at the St. Petersburg Grand Slam, seeded 10th. They finished the rounds of pool play with a record of 2-1, and ultimately faced their elimination in the second round of the playoffs, losing a close set of matches 2-1 to the future tournament champions. From Mid-June through October the pair travelled to 5 different countries to compete in 6 tournaments - pretty amazing isn't it. First up they competed in the Hague World Championships in the Netherlands. A strong field of teams had Team Saxton Schalk seeded 17th, through pool play the duo defeated 2 of the three teams in their division sealing a 2-1 record entering elimination play. Unfortunately, their tournament would come to an end in the round of 32 after another close 2-1 defeat against a strong Swiss team. Still vying for Top 10 in the world to qualify them for the World Tour Finals, the next few tournaments were crucial for Ben and Chaim. 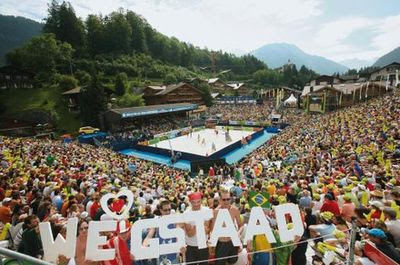 Next stop for the summer was in Gstaad, Switzerland for the Gstaad Major. If you haven't seen the venue for this tournament, I recommend that you google it - absolutely phenomenal! The pair entered the weekend seeded 16th and were placed in Pool A, strong play led them to a perfect 3-0 record and a bypass through the first elimination round. In round 2 they played a hard fought match against the 13th ranked team but fate was not in their favour and they were faced with a 2-1 defeat - good for a 9th place finish in the tournament. At the end of July the pair was on to Japan to compete in the Yokohama Grand Slam. The duo was seeded 16th in the tournament but very successful play led them to the final's where they lost the deciding match 0-2 to the Brazilians Alison/Bruno Schmidt, who had been dominating the beach scene this summer. However, this tournament and their silver medal finish was essential on their road to the World Tour as it set them up with excellent seedings for the remainder of their tournaments. In August, Ben and Chaim travelled back to North America to compete in the Long Beach California Grand Slam, after their successful showing at Yokohama the duo vaulted up to the 9th place seed for the California Tournament. A tough go throughout games the pair finished a disappointing 25th, however rebounded very well at the Olsztyn Grand Slam winning a bronze medal. This performance secured their spot in the top 10 and earned them a seed in the World Tour Finals - a busy summer but well worth it. The World Tour Finals kicked off with pool play and Ben and Chaim (seeded 6th) were placed in Pool B with the 2nd, 3rd, 7th and 10th seeded teams. Tough competition and hard fought matches would see them finish 1-3 in pool play without a spot to continue on in the tournament. Though the Finals didn't go as planned for the guys, they have a lot to be proud of this season. When looking back on their season, they were proud of what they accomplished and are excited to see what the future has in store for them. We are delighted to be able to work with such high calibre athletes every day, and Ben and Chaim are no exception. They are truly hard working individuals who give it their all day in and day out. They represent themselves, their sponsors and Canada with pure class and respect. 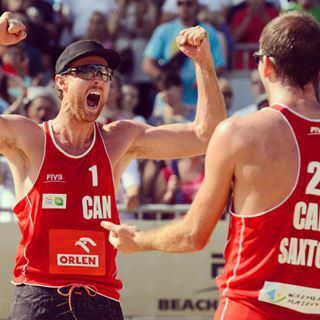 We at Infinit Nutrition are excited to continue fuelling the pair on their Road to Rio. Loving the Infinit Canada Difference!! "Darcy, I just wanted to let you know that our race went well over the weekend and Infinit proved to be the fuel of choice! After using the blend you made up for me in some training sessions I knew I liked it but was nervous to use it exclusively. I used some Hammer Perpetuem as well as some other real food but had some issues through the nighttime trek section. Once I was able to get that junk through my system I went back to the Infinit and stay with that for the remainder. We finished with a 65k Mountain Bike and felt strong right to the finish. My teammates use E-load in their bladder packs but I made up a few bottles of Infinit for them and they were also quite happy with it. In the end we finished 3rd in the Open Division and 6th overall." We are always happy when we hear how much our customers love the Infinit Canada Difference. Are you interested in going custom? Click here to get started! 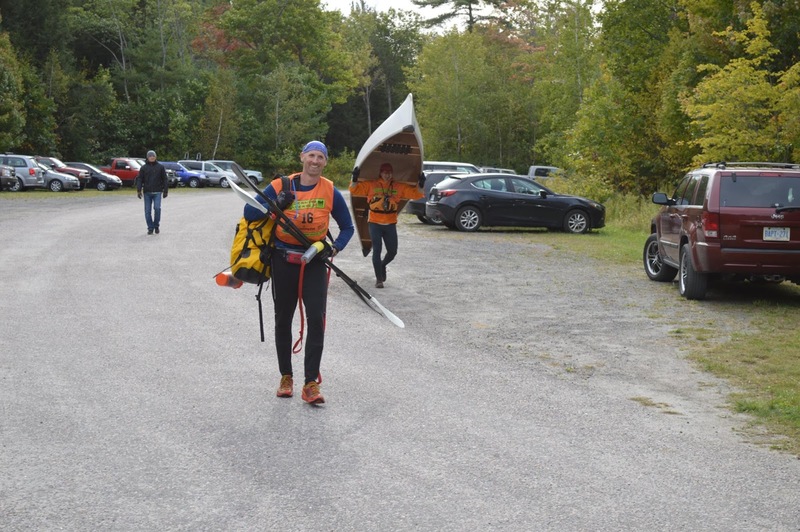 You can find out more information about the Wilderness Traverese here, and the full race results can be found by following this link! 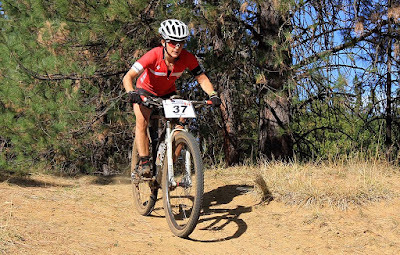 After some great riding in Fernie and racing over the summer it was time for the road trip to Weaverville, CA for the World Solo 24 Hour Championships. It would be my first Worlds and I was pumped! Arrived a few days early to get a few laps on the course and have some fun with fellow Canadian racers. We settled in at the Strawhouse, where owners Julia & Don made us feel right at home. Race day came quickly as it always does. The weather looked good, the only concern was high winds expected later in the day. Our group of five all pitted together with Steve and Sarah managing the pit. Headed up to the start line, it was a nice treat not to have to do the traditional Le Mans start. It was definitely a fast start the ladies were hammering. I tried not to get too wrapped up in it and settled in by the 2nd lap. I was putting out consistent laps and the Fate was handling well on the terrain. The course was challenging will the majority of the climbing upfront on a fire road with a couple steep pitches. It then leveled out on the road before dropping into the single track. The first section was fairly fresh and the corners were already getting blown out. Things would be interesting later in the race. The back end had some fun & fast sections where you could let it rip. All up approx.1650ft gain and 19 kilometres. The temperatures were still good when it was time to mount Exposure lights, Reflex on bars and Diablo on helmet. I was feeling good and my nutrition was on point with Infinit and small sips of water. The first night lap took a bit to adjust to the darkness and dust. After a few more settled in and grabbed some layers along the way. My eyes were really starting to water with the dust so I decided to stop and have them flushed out to be on the safe side. At that time I asked about Sonya Looney and if she lapped me. I was told to continue to do my own thing and ride my race. Grabbed another bottle, got back on my bike and faced the climb again. The wind was getting pretty strong towards the top of the climb and the dust was flying around on the road descent. I began to suffer a bit in the wee hours of the morning but as soon as the sun came up it was like magic and started to come around. I still didn't know my position but figured was 4th or 5th. I saw a few of the Elite women on and off but was not entirely sure on positions. One racer said I was 3rd but didn't know if he had me confused with Kate, the other small one riding a Specialized. The last few laps were challenging with the sun beating down on the road climb. 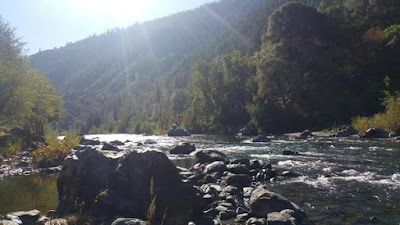 I stopped at the Aid station at the top of the climb and dumped water over my head to try to cool down. Got back to the pits with plenty of time to complete another lap but would not be back in before noon to go out for another. I was good with that ;-). In the end completed 16 laps, 304 kilometres, and approx. 25,400 ft elevation gain. Finished 5th Elite/Overall for women. 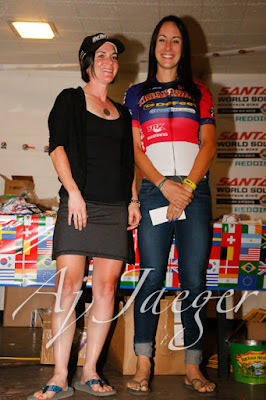 It was a stacked Pro field with strong ladies from all around the world including adventure and mountain bike champs. It was so awesome to race with that caliber of women. They have inspired me to up my game. Banquet and Awards - Some were more concerned with eating and drinking! Our group had some strong results with Ryan Gardiner taking the win in his age category and Andrew Bovard banging it out on his single speed to grab 4th! This speaks volumes to the outstanding abilities of our coach Shaun Taylor of Forward Momentum Coaching. 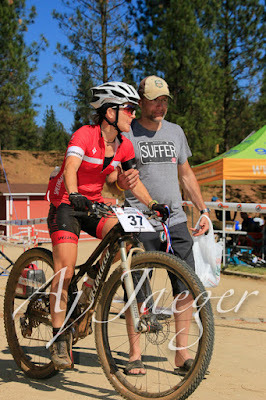 Thank you to Steve & Sarah for the great pit support and encouragement during the entire race. As well, thank you to Coach, Specialized Canada, Infinit Nutrition Canada, my parents for looking after the dog and all the volunteers. There was a great vibe with fellow racers and volunteers really getting behind you. That makes a huge difference! The road trip home was a lot of fun enjoying some good food, beverages and laughs with great friends. Finishing off the season with a top five at Worlds is definitely an accomplishment I am proud of but has left me wanting more out of next season. I look forward to the journey that lies ahead. Road to Kona - Post Race Report!! We are thrilled for Infinit Athlete Lionel Sanders after his stellar performance at the World Championships this past weekend in Kona, Hawaii. It was his first World's, yet he performed like a vet. We hosted an official viewing party at John Max here in Windsor in partnership with Cycle Culture and it was a great success. Thank you to all of our customers and Lionel fans who made it out to watch and celebrate with us. Now back to the big race. If you aren't familiar with Ironman racing, it is a long-distance triathlon that consists of a 2.4-mile swim, 110-mile bike, and a 26.2-mile run. The World Championships in Kona are the triathlon equivalent of the Superbowl, and we were thrilled to have one of our Infinit Fuelled athletes being a strong contender in the race. He was 52nd out of 56 pro men after swim. He moved up 26 spots to 26th during the bike. Despite riding alone for the entire bike component, Lionel was able to post the 8th fastest Bike/Run splits of the entire day. During the run portion, he moved up another 12 spots to 14th by the end of the race. We are looking forward to sitting down with Lionel to capture his insights so we can optimize his nutrition even more for his next race. At only 27 years of age and a 14th place finish at his first ever Ironman Kona - the future is bright for this local star. We recently received a message from Barrie Shepley on behalf of Team Sanders, and we were thrilled to hear that Lionel has a number of events planned for the upcoming months. "The journey is not over. Its just scratching the surface. We have a big day on Oct 22nd at Skechers Canadian Head Office with a young lady who has changed her life at Ironman 70.3 Mt Tremblant and many people will be out to run with Lionel that day (thanks to Caron and Nick for their coordination of this day). We have a monster 2 Day Clinic at McMaster University on Sat Dec 5th and 6th - Subaru Triathlon Series, Multisport Series, Triathlon Ontario, Personal Best and C3 will have a huge presence at the 2 day clinic. Lionel and his C3 Team Mates Taylor Reid, Sean Bechtel, Kristen Marchant will be there for the 2 days. Added in will also be World Championship silver medalist Melissa Bishop (sub 2min 800m world silver medalist runner) and Cody Beals (one of Lionel's past racing mates)" - Barrie Shepley. Lionel's full race splits can be found here. Saturday is race day! It is so close and we are excited to watch Infinit athlete Lionel Sanders race in his first ever Ironman World Championships. If you haven't heard yet, we have partnered up with Cycle Culture and John Max to host an Ironman Kona Official Viewing Party. More information can be found here. We hope you can drop in! 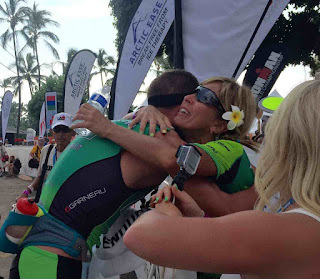 Over the past few weeks we have been bringing you some updates on Lionel's Road to Kona. Today we have a big update for you all (Update from Barrie Shepley). 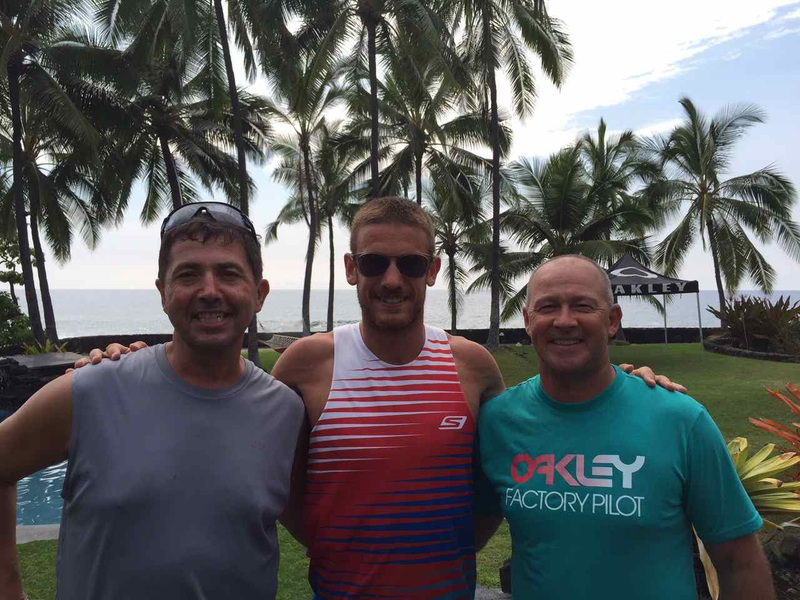 Everyone knows how hard Lionel Sanders has worked for the last 12 moths for this weeks Kona Ironman. Now with all the work completed, Lionel is wisely doing the important final prep work to be rested, hungry and ready to battle the top 55 men on Saturday. Lionel has been in Kona for over 2 weeks already and did his big 160km rides and 30km runs in the first week. He said he found the first few days hard in the heat but has really adjusted well in the last few days. Lionel did the Ironman Swim Race on Saturday as preparation for the Oct 10th event. He is happy he did, having made some sighting issues during the swim and feels more comfortable each day he swims in the 85 degree crystal clear ocean. Louis Garneau has been incredible all year taking care of Lionel. Matt & Jamie at Cycle Culture in Windsor has been Lionel's home store and have been fantastic to him. This week, Eon D'Ornellas, a long time bike pro and bike shop owner from Toronto is in Kona and making sure that Lionel's bike is humming (thanks LG & Eon). 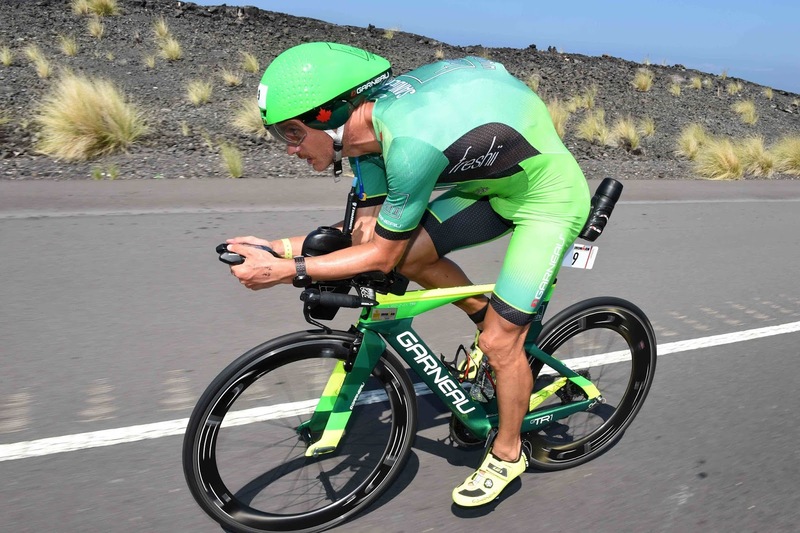 The Garneau bike has been the talk of Kona - Partially because many have been driving their cars out onto the Queen K Highway to get video and watch how fast Lionel has been riding. Check out the local video of him from earlier this week by Triathlete Magazine. It was like Christmas when Lionel's new Hed Wheels got to him a few weeks ago and he believes that he has never ridden wheels so light, comfortable and most importantly fast. He has tested them in some 40-50km winds last week and says they are the best wheels he has ever ridden on. With the big German boys expected to lay down a massive attack on Saturday, Lionel's confident he will have the best wheels in the game to laydown his own wicked bike ride. Each six months, the world knows more and more about Skechers Performance Shoes. Obviously the developed relationship with Meb a few years ago put Skechers on the map, and the recent relationship with the LA Marathon has pushed that even further. This week, Skechers will be all over Kona and nobody will be more visible than Lionel Sanders. We were out with Lionel doing some interval training this week and he looked amazing running up and out of the energy lab on his 20km run. With Skechers in the Sports Expo, Skechers House and athletes like Lionel and German Nils Fromhold out on the Kona race course, Skechers will be well represented in Kona. 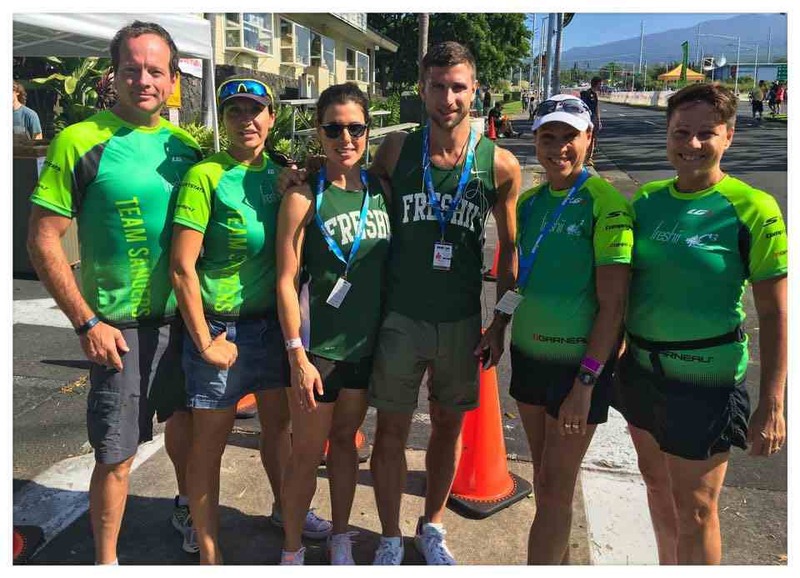 Matthew Corrin, president and founder of Freshii will be arriving mid-week to experience his first Kona. Lionel has met many people from the USA in the last week who have eaten at Freshii restaurants all over the country. Barrie & Lionel think its about time that a Kona Freshii was established to make it the place to be for healthy, great food in Kona. Matt, Graham and Greg are all on their way to Kona for video interviews and capturing more footage of Lionel's ROAD TO KONA. The year long documentary began last Novemember in Windsor and has followed Lionel through races, training, Tucson camps and here in Kona. Lionel and Erin's families are in Kona for their first ever trips and are totally enjoying the Island paradise. A modest VIP supper is occurring on Tuesday night in Kona with Lionel, sponsors and family. The goal is to celebrate the "journey" to Kona 2015. Without the incredible support of family, friends, sponsors and team-mates, Lionel could never have gotten this far, this fast. At 27 he is the youngest man in the top 10 in Kona. Tue night is simply a casual night to celebrate the journey. Infinit Nutrition President Darcy Haggath has done an incredible job with Lionel. They sat down, figured out what his body needed in terms of calories, volume, rate and salts. Lionel has been religiously following the format and looked incredible on both his bike and runs this week. Right now he is looking to go through one bottle of Infinit every 6km of the run (that's roughly 7 bottles to hammer what he hopes to be an incredibly fast marathon). Darcy and the team in Windsor are currently putting together a big SANDERS viewing party. More details later. 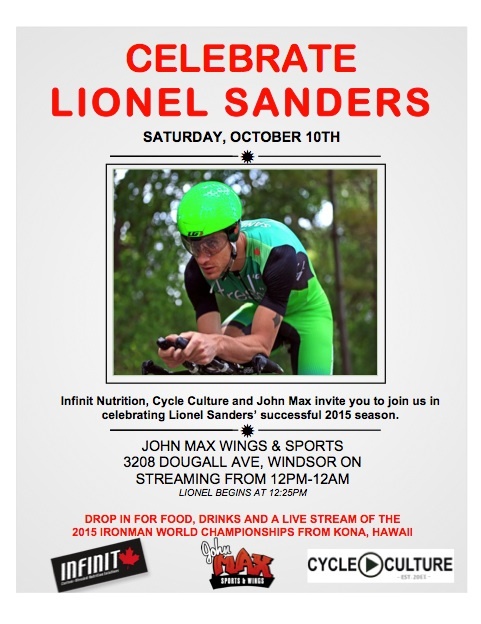 There are now over 5 official Lionel Sanders viewing parties for Saturday's race in Kona. With parties in London, Windsor, Hamilton, Caledon, Brampton and Toronto, (new ones being added) there will be a lot of Lionel fans and friends cheering from affair. Obviously over 30 family members and friends will also be in Kona cheering directly. A dozen media outlets have either done stories on Lionel this week (or are planning on it). The Sun Media Newspapers across Canada will be doing a story out this Friday. IRUN Magazine has made an entire week's focus on Lionel and Kona. The stories just keep coming. Below are a few recent stories you may not have read. The only key sadness was a few major sponsors were not in Kona yet for Tuesday night's Kona Party. Matthew Corrin and Team Freshii were not on the Island yet, but their logo was well represented all day long. 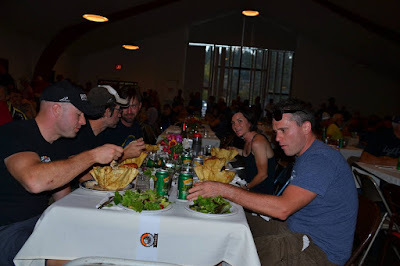 Darcy and Infinit Nutrition and Dan/Scott and Nineteen Wetsuits are all back home, but we could feel their energy. Thanks to Eric & Team Louis Garneau, George + Nick and Team Skechers, Chuck & Team Computrainer, Marc Roy + Team Sportstats for their time at the Team Sanders Party. Photographer guru Delly Carr was in attendance and promises some great shots on Saturday as he will be on the lead motorcycle getting shots of the men's race. Lionel & Erin and their families appreciated the great support of everyone and totally enjoyed the night. 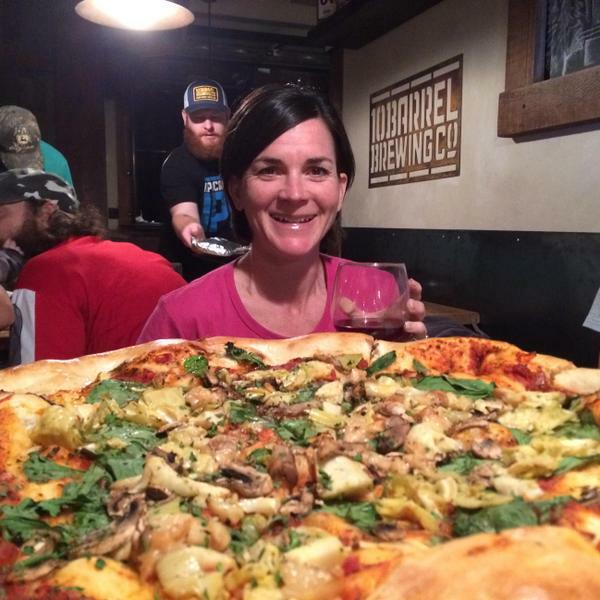 The Paradise Brewing Company was located just 20m from the Kona Swim Start and Finishing Line of Saturday's race. A casual TEAM SANDERS party is planned tonight for the Paradise Brewing Company on Ali Drive, just steps from the swim start and Kona Ironman finishing line. Lionel's parents, fiance, sponsors and key supporters will all be getting together for a nice early-week celebration of his journey to Kona. World famous Delly Carr, who has shot pictures for over 30 years in Kona of the very top Ironman Champions, is an invited guest at the party tonight. Delly and Barrie Shepley have traveled for years together on the ITU circuit and he has followed Lionel's progression over the last 2 years. Lava Magazine has Lionel Sanders up with some major talent in their top picks. See what they have to say and the other key men they believe will be vying for the win on Saturday here. Triathlete Magazine let their readers pick their favourites. Lionel is the only rookie in their top 10 and polled 5th place overall. Slow twitch has done an in depth article on the top athletes and Lionel Sanders is on their list. Take a read. Matt, Graham and Greg will be following Lionel & getting some in depth interviews from him today. 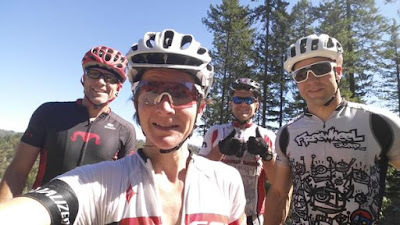 The ROAD TO KONA Team have been following Lionel since last Nov. 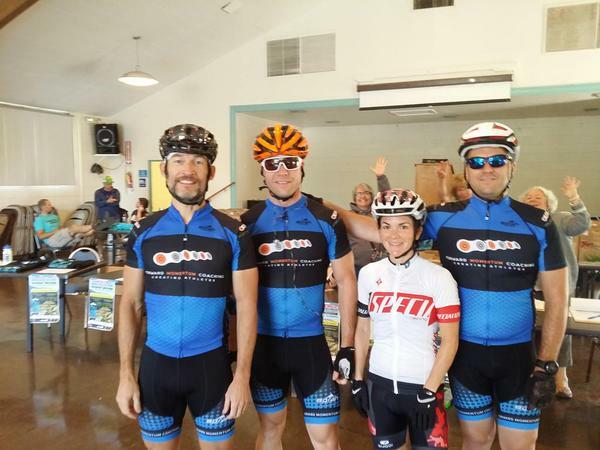 They have been to Windsor, Mt Tremblant, Texas, Tucson and now are in Kona following the last days till Saturday. The 12 month documentary is a first of its kind, following a rookie Ironman pro at his first Kona. Barrie and Caron Shepley have the great honour of being Lori Bowden's guests at the Hall of Fame supper later today. Lori is a 2x Hawaii Ironman Champion who also had 5 other Kona podiums and 9 other Ironman wins, including a sub 9hr Ironman Austria. Lori was a member of C3 back in the early 90s and was a regular training partner with Caron Shepley. Joining Lori at the Hall of Fame induction is also Canadian Heather Fuhr. Heather has won the Hawaii Ironman and had 11 other Ironman wins. With 12 Ironman Championships, Heather has the most Ironman wins of any Canadian. Celebrate Lionel Sanders With us! If you haven't already heard, Team Infinit Athlete Lionel Sanders is currently training to compete in the Ironman World Championships in Kona. The race begins on Saturday, Octoberr 10th and we want to watch and celebrate with you - our loyal customers! John Max on Dougall Ave has been generous enough to allow us to come in and stream the event from 12pm until 12am on Saturday. We hope that you can drop by for some good food, drinks, and to catch some of the race! For more information you can contact Tessa at tessa@infinitnutrition.ca. 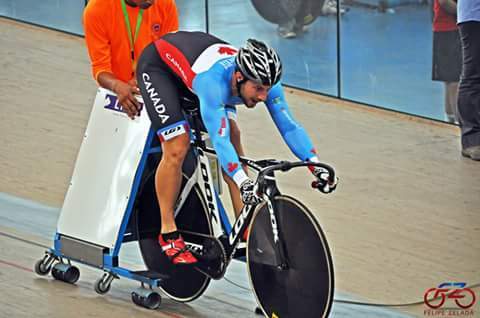 "As a sprint cyclist, my events can be as short as ten seconds, however, I might be at the track for 3-4hrs at a time. With potentially 9 efforts on a race day, it essential that every one is absolutely maximal! For race day I use Jet Fuel with caffeine to make sure I have some quickly absorbed sugars to keep my glycogen levels high throughout the day. Also the caffeine ensures that I stay alert and ready to go all day. I usually have one bottle of Jet Fuel and one of water to sip on throughout the day. If I time it right, I will finish off my Jet Fuel right before my last effort of the day. Typically my training includes a lot of anaerobic and lactic efforts as well as heavy strength and power focus in the gym. Often with two sessions per day, it is essential for me to recover and refuel between. For this I use the Infinit Explode; I prefer the orange flavor. Three scoops of Explode, 10g of Pure creatine, and mix with water. This gives me the protein I need to repair muscle damage, as well as enough carbs to refuel for the next session. I like to start drinking my Explode right after finishing my last effort or big lift. Drinking it while I cool down ensures I get the most out of my recovery in the critical window post training." Catch up on all of the Infinit Tips series here. Keep up to date with everything Infinit and Mischa by following us on our social media's!